An attempt to establish a Kurdish state including Kirkuk is likely to result in a truncated and economically devastated mini-Kurdistan. Kurdish soldiers stand at the gate of an oil pumping station in western Kirkuk province in Iraq, on March 2, 2017. The outflow of oil from Iraq's Kirkuk oil field stopped Thursday after Kurdish forces entered a Baghdad government-owned pumping station near the city of Kirkuk and prevented workers from pumping oil, an Iraqi oil official told Xinhua. Xinhua/SIPA USA/PA Images. All rights reserved.The Kurdistan Regional Government (KRG) is planning for a referendum to separate from Iraq later this year. This could easily lead to further ruin for ordinary people. As both sides to the dispute push forward with increasing amounts of hubris, policy makers and observers should reflect on both the causes and the risks of the current trajectory. As is often the case in Iraq, this particular crisis could easily have been avoided if only the country’s political class had been capable of being slightly more mature. Instead, both sides suffer from a tendency to overreach and unhealthily rely on external advisors. Control over oil resources is at the center of the dispute. Prior to 2003, the Kurdistan Democratic Party (KDP) – which is led by the current president of the Kurdistan Region, Masoud Barzani – had a modest ambition: its main demand was merely that oil and gas revenues should be shared equally by Baghdad. That position was reflected in a draft constitution that the KDP prepared in 2002, and which represented what it then considered to be its maximalist position. After the US-led invasion however, Erbil received advice from foreign parties that it should be solely responsible for exploiting its own resources, regardless of what the rest of the country thought. Some of those advisers have since benefited handsomely. Never having revealed at the time that they had acquired a financial stake in oil fields, they needed their advice to be adopted to reap their financial rewards. The KRG’s negotiators followed through and exploited the chaos surrounding the 2005 constitutional drafting process to introduce their newly preferred wording in the draft constitution. In what soon became a notorious turn of phrase, Article 112 of the final constitution stated that “current fields” are to be managed jointly by Baghdad and the regions, the implication being that ‘new fields’ would be managed solely by the regions. That strategy was supposed to introduce a period of glory, but instead it has contributed to political and economic ruin. Article 112 was nothing less than a poison pill: as the Kurds (and Americans) in the constitutional drafting chamber were well aware, the provision was introduced without the full understanding of the rest of the negotiators let alone of those people who were not in the chamber whatsoever. Baghdad’s position was and has always been that oil policy should be centralized so as to extract a maximum price for its oil resources. Despite the fact that the constitution was approved by 80 percent of voters in the 2005 referendum, Baghdad was never likely to accept Erbil's interpretation, which meant that a conflict was inevitable. In the first years after the new constitution entered into force, oil prices were at US$65, which translated into a huge bonanza for everyone. Every year, Baghdad transferred a very significant portion of a historically high federal budget to Erbil. Almost no questions were asked on how that money was spent and no significant efforts were ever made to audit the KRG’s accounts. Record numbers of tourists from the rest of Iraq were travelling to Kurdistan, which translated into a huge transfer of money to Kurdish businesses. Meanwhile, the KRG commissioned a number of international oil companies to begin exploiting oil resources in accordance with its interpretation of Article 112. Some of the oil was sold locally, and some was exported via trucks. Baghdad was willing to turn a blind eye to that practice so long as it remained informal. Kurdistan’s economic boom was short lived. In late 2013, the KRG inaugurated a pipeline to carry oil exports through Turkey. Baghdad’s international oil policy was being undermined by what it considered to be the emergence of a rival oil producer within its own borders. In response, Baghdad refused to transfer the KRG’s share of the federal budget so long as it pursued its own independent oil policy. The KRG’s references to Article 112 left Baghdad unmoved. To make matters worse, Iraqi tourists dried up after ISIS’ invasion of Mosul, and even oil prices dropped by close to two-thirds. The KRG has since kept to its guns, but the economic cost has been huge. The KRG is now up to US$30 billion in debt, public universities are closed, the KRG is unable to pay its foreign investors and has been on the losing side of an increasing number of commercial arbitration cases. Poverty and economic migration have increased dramatically. In the meantime, the KRG’s political institutions have all but collapsed: the KRG’s regional president is refusing to step down from his position despite the fact that his legal term expired years ago (first in 2013 and then in 2015 when a two year extension expired), the parliament was suspended in 2015 after an opposition group grew too critical, the region’s security forces (the Peshmerga) remain as divided as they were decades ago, and the regional budget is not subject to any meaningful auditing process. The KRG’s constitutional negotiation strategy was supposed to introduce a period of glory, but instead it has contributed to political and economic ruin. The KRG desperately needs a solution to this ongoing crisis (far more than Baghdad does), and it has very few good options. Its proposed solution is to proceed to a referendum on Kurdish independence, a course that has once again been recommended by foreign advisers. Some have equated the Kurds’ aspirations to past and current attempts at achieving independence in Quebec, Catalonia and Scotland. But it is precisely that tendency to compare itself to wealthy, democratic and stable western democracies that is causing the Kurds to overreach again. Barzani has said that the independence referendum is designed to free Kurdistan from “oppression and occupation” but it is unclear how an independence referendum could lead to more freedom for ordinary Kurds. Credible international financial institutions will not offer a future Kurdish state any relief from its current debt, considering that the Kurdish government has no books that can be audited. Worse, security is extremely likely to deteriorate for the KRG. The future Kurdish state that the KRG hopes to establish includes Kirkuk, which is religiously and ethnically mixed, as well as areas that have been emptied of their populations since the start of the war with ISIS in 2014. Not only will a referendum be close to impossible to organize in those areas, but Baghdad will never relinquish sovereignty over Kirkuk, which means that violence is inevitable. The KRG cannot possibly hope to match the resources that are at Baghdad’s disposal, and no one is likely to come to the KRG’s aid when a conflict eventually breaks out (Turkey and Iran have already aggressively opposed the decision to hold a referendum). The KRG’s internal divisions are also likely to worsen as resources decline. Another internecine round of fighting between the region’s various actors could easily break out (the first having occurred in the 1990s). The final outcome of an attempt to establish a Kurdish state including Kirkuk is likely to be a truncated and economically devastated mini-Kurdistan, with internal borders separating family run political parties from each other. A Kurdish referendum could also lead to divisions within the rest of Iraq, including the establishment of an anarchic Shia state in the south, and a rogue Sunni state in the west. In current circumstances, comparisons with Quebec and Scotland appear obscene at best. A comparison with South Sudan appears far more appropriate. The KRG should seriously reconsider its position in favor of an outcome that at the very least will avoid conflict. A clear option would be for it to insist, as a condition for suspending the plan to hold a referendum, on the establishment of a federal mechanism through which all parties administer, market and sell oil internationally, as well as a second mechanism that will guarantee the equitable distribution of financial resources. 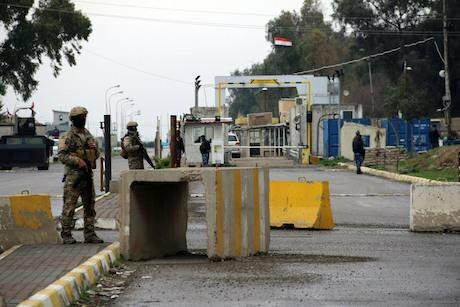 Meanwhile, Kirkuk’s future should be negotiated and based on compromise: its population is far too divided to allow for a simple majority outcome to determine its future. Many parties have argued that it should be reestablished as its own federal region. That option should be seriously explored as a possible peaceful solution to the ongoing crisis. In a region where tensions are high and arms are in abundance, negotiated solutions are preferred not because they necessarily satisfy everyone, but because they can avoid conflict.